A new world preview from the panerai laboratorio di idee: the first watch case made entirely of BMG-TECHTM , a metallic glass with excellent characteristics of strength and durability which enable it to preserve its appearance over time. The Panerai Laboratorio di Idee presents an invisible but revolutionary innovation, resulting from its continuous research into design and new materials: BMG-TECHTM. 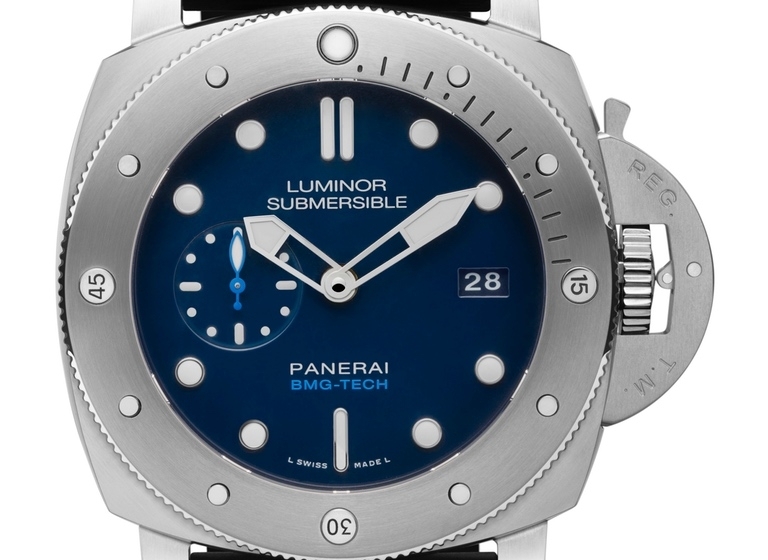 The secret of this material, which has been used to make the case of the new Luminor Submersible 1950 BMG-TECHTM 3 Days Automatic, lies not so much in its appearance – which is similar to that of titanium but darker grey in colour – as in its atomic structure, which provides a range of very useful qualities for an underwater watch: extreme resistance to wear, high strength and great lightness.